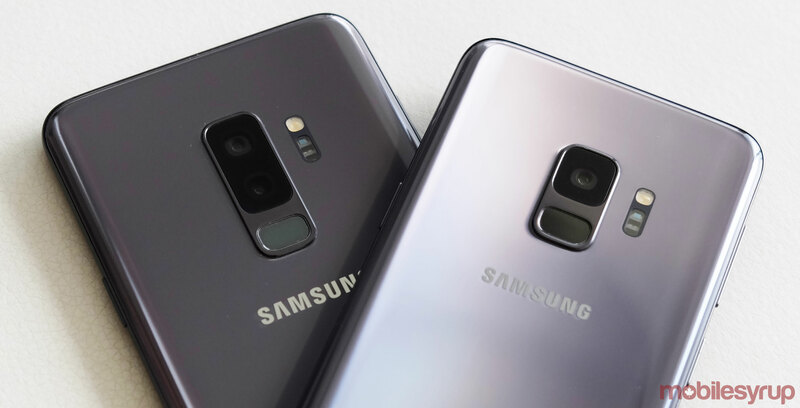 While Android 9 Pie has to officially make its way to any of Samsung’s latest crop of smartphones, a new report from XDA Developers has revealed that the South Korean electronics is planning for the future. According to an XDA Developers breakdown of the upcoming Samsung Experience 10 user interface, Samsung’s skin of Android 9 Pie will feature a number of elements — including a system-wide dark theme — unique to Samsung devices. On the subject of the system-wide dark theme, XDA Developers reported that users will be able to manually enable the feature, schedule it in advance, as well as set it to automatically activate in the dark. This dark theme also applies to the lock screen — which features a new clock design — and the Samsung Dialer — with a redesigned interface that moves the recent contacts, keypad button, contacts menu and places options to the bottom of the screen. Samsung Messages has also been redesigned to move options to the bottom of the screen where they’ll presumably be easier to reach. Bixby has a new user interface as well, with curved borders and access to the night theme. According to XDA Developers, the Samsung Mail, Gallery My Files, Samsung Internet and Camera Apps have all been redesigned, though the changes to the email, photo gallery all feature minimal changes. The camera, however, has a whole new user interface, which enables users to capture macro and micro images. The lock screen also reportedly has a new clock design, as well as time placement closer to the centre of the screen. In terms of similarities to vanilla Android 9 Pie, Samsung Experience 10 (SE10) appears to feature a card-style user interface similar to the Google Pixel’s version of Pie. Samsung’s upcoming Android skin also seems to utilize the Google operating system’s redesigned recent app overview. Unlike previous versions of Android, Pie utilizes a horizontal recent apps overview rather than a vertically stacked overview — it seems that SE10 will feature the horizontal overview as well. Exciting to see is that SE10 will feature a collection of gestures, though they’re not the same ones that are available with Android 9 Pie. Instead, it seems that Samsung is simply maintaining the navigation buttons, but is allowing users to swipe up on the spots where the back, home and recent apps buttons are to activate these features. Anyone interested in installing the early Android 9 Pie build of SE10 on a Galaxy S9+ smartphone can do so by following XDA‘s guide.